Supporting data for "Comprehensive analysis of microorganisms accompanying human archaeological remains"
Metagenome analyses has become a common source of information about microbial communities that occupy a wide range of niches, including archaeological specimens. It has been shown that vast majority of DNA extracted from ancient samples come from bacteria (presumably modern contaminants). However, characterization of microbial DNA accompanying human remains has never been done systematically for a wide range of different samples. We used metagenomic approaches to perform comparative analyses of microorganism communities present in 161 archaeological human remains. DNA samples were isolated from the teeth of human skeletons dated from 100 AD to 1,200 AD. 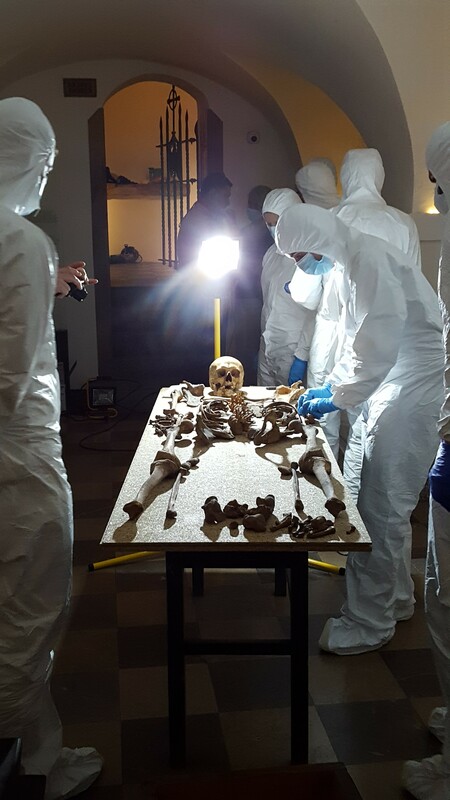 The skeletons were collected from seven archaeological sites in Central Europe and stored under different conditions. The majority of identified microbes were ubiquitous environmental bacteria that most likely contaminated the host remains not long ago. We observed that the composition of microbial communities was sample-specific and not correlated with its temporal or geographical origin. Additionally, traces of bacteria and archaea typical for human oral/gut flora as well as potential pathogens were identified in two-thirds of the samples. The genetic material of human-related species, in contrast to the environmental species that accounted for the majority of identified bacteria, displayed DNA damage patterns comparable with endogenous human aDNA, which suggested that these microbes might have accompanied the individual before death. Our study showed that the microbiome observed in an individual sample is not reliant on the method or duration of sample storage. Moreover, shallow sequencing of DNA extracted from ancient specimens and subsequent bioinformatics analysis allowed both the identification of ancient microbial species, including potential pathogens, and their differentiation from contemporary species that colonized human remains more recently. Displaying 1-10 of 165 Sample(s). Displaying 1-10 of 19981 File(s).